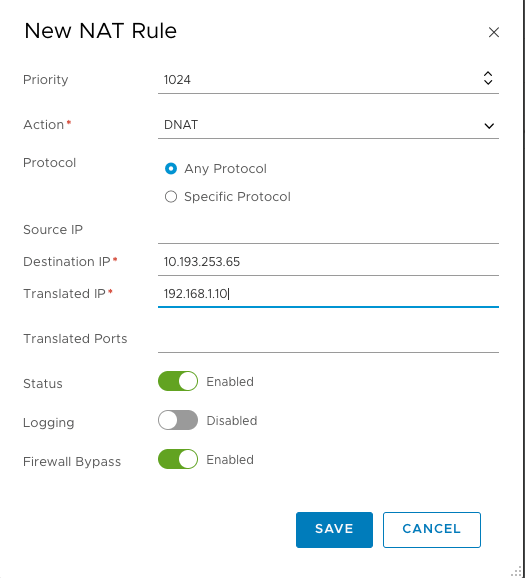 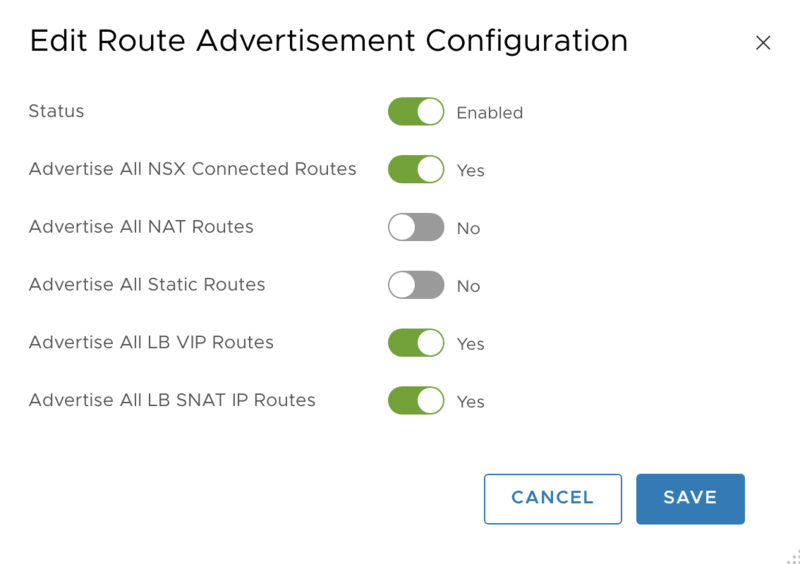 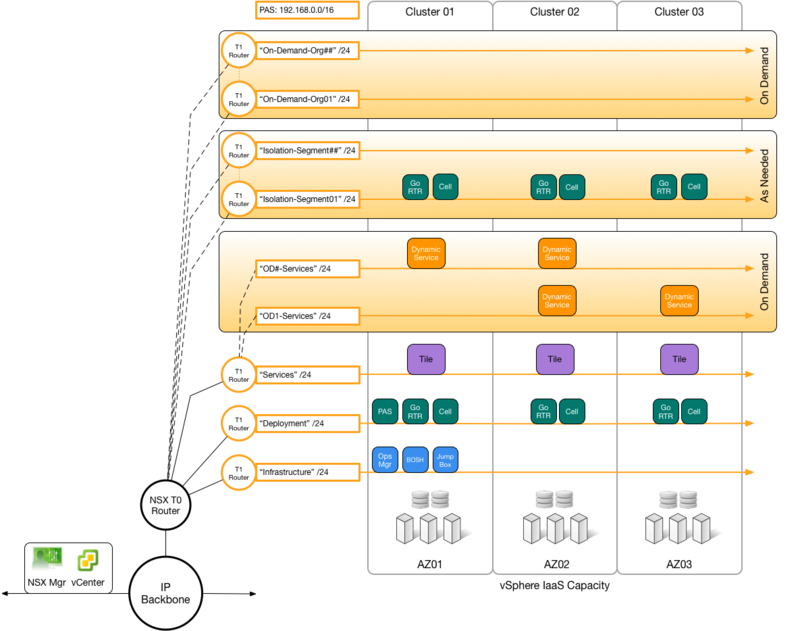 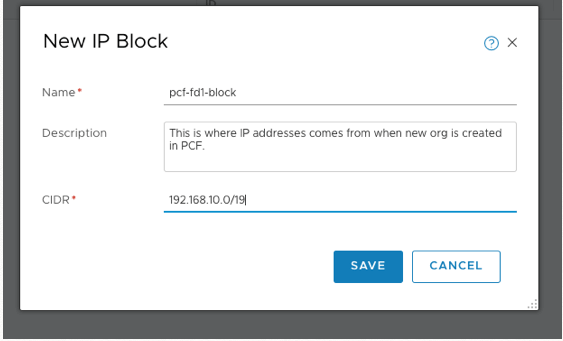 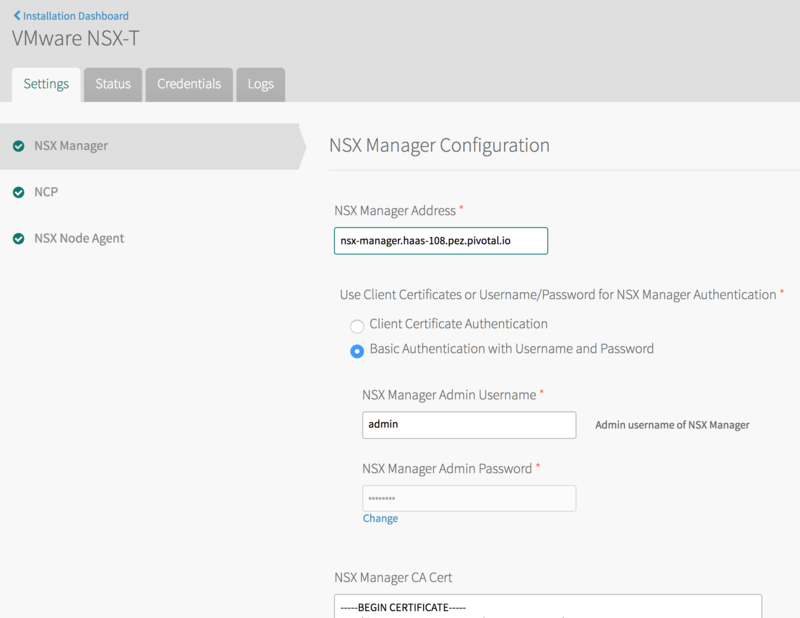 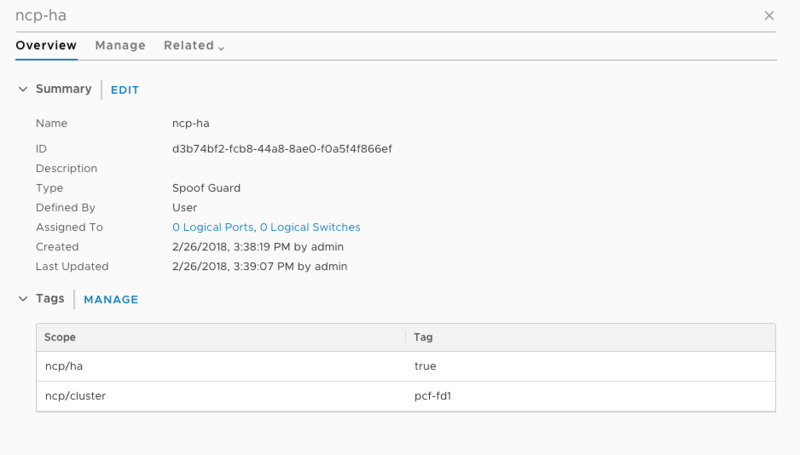 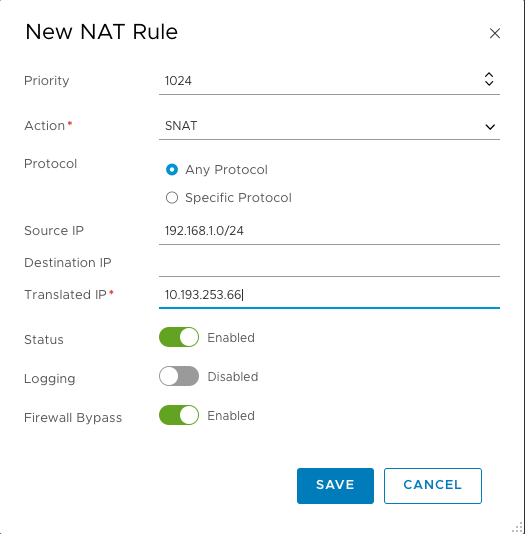 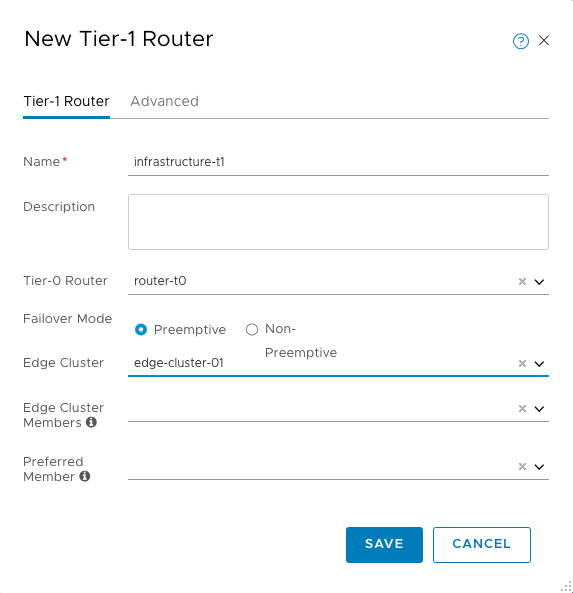 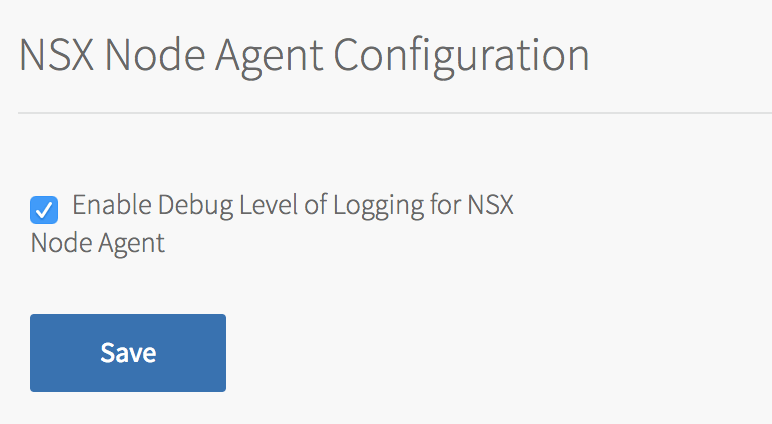 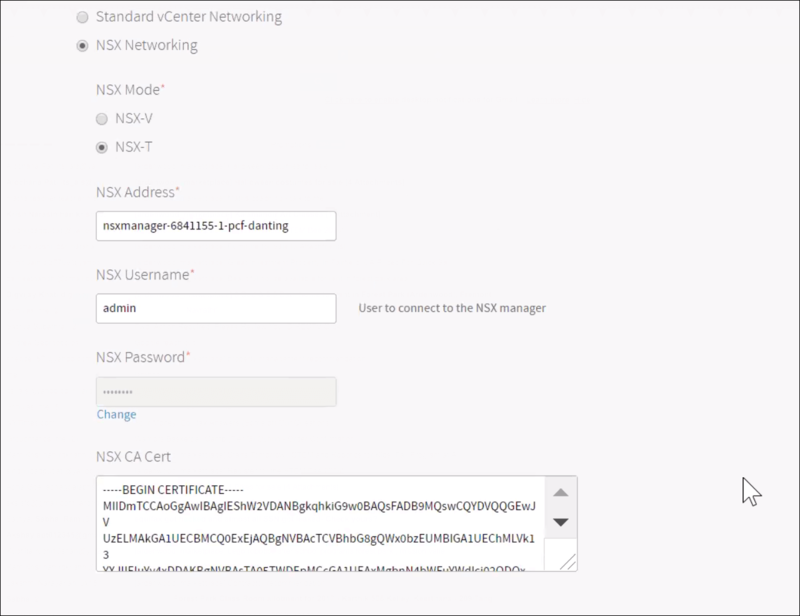 Note: To update NSX security group and load balancer information, see the Updating NSX Security Group and Load Balancer Information topic. 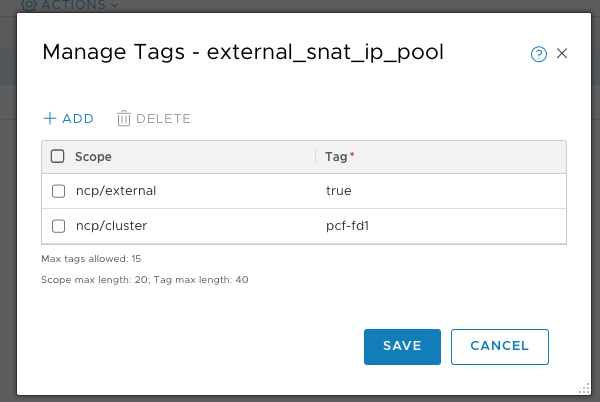 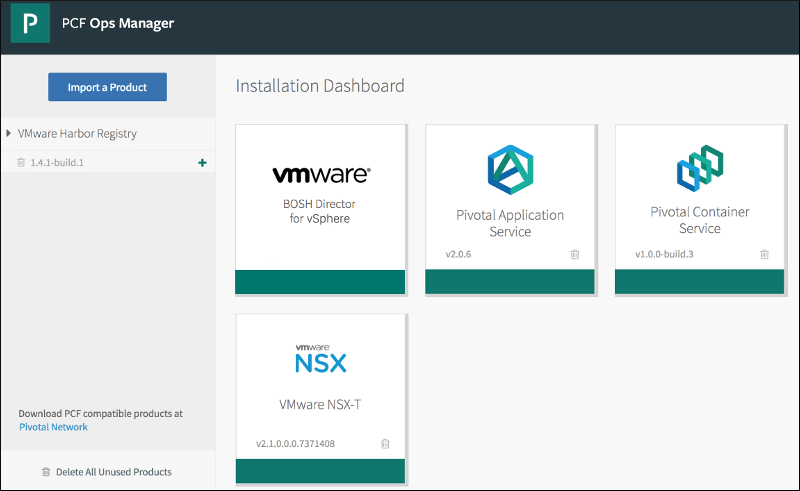 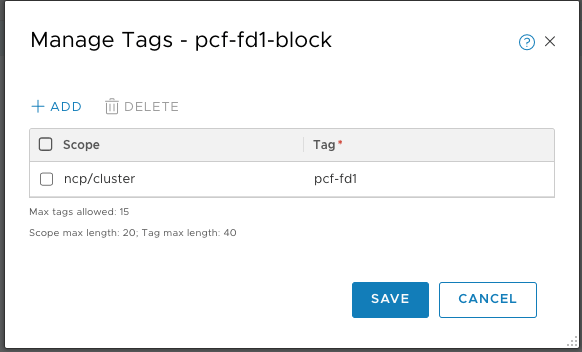 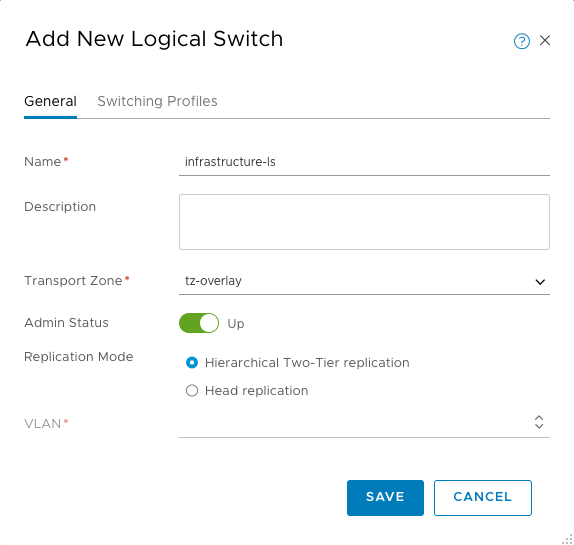 Configure PAS, following the directions in Deploying PAS on vSphere. 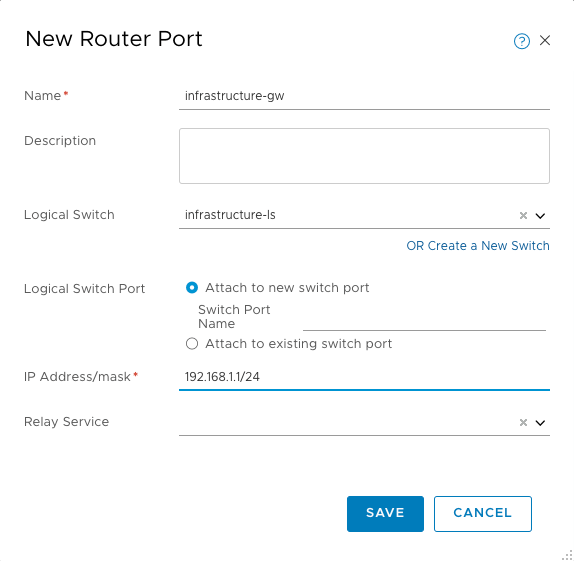 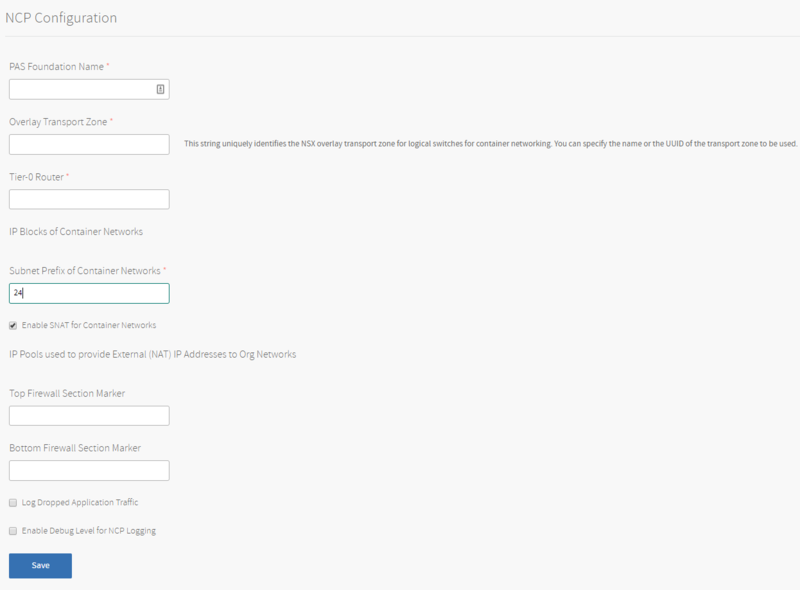 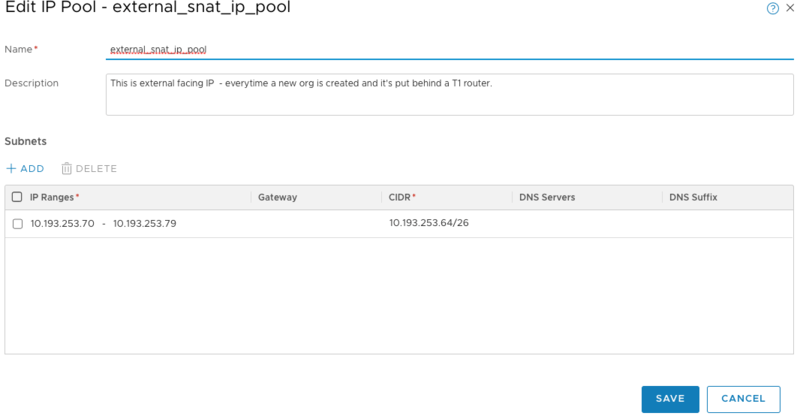 When you configure Networking, select External under Container Networking Interface Plugin.